Oscar Pereiro quit his cycling career this year, but the 33-year-old Spaniard is far from retiring of professional sports altogether. Spanish third division soccer team Coruxo picked up the multi-talented Pereiro. Pereiro will start training with the team this Monday. It was a long time ambition of Pereiro to join the Spanish League. "To play in a soccer team was one of my dreams since I started playing sports," he told Spanish sports paper AS. "So this will be a very nice challenge and one that makes me dream. Additionally, I get to continue competition, although it will be a different kind. I will also stay in good shape," Pereiro said. Pereiro had already occasionally worked out with the team in the past. The club's president, Gustavo Falqué, was quite proud of the latest signing for his soccer team. "For us it is a great satisfaction to have someone like Oscar decide to continue sports with us. As a former cyclist, his mentality to sacrifice will serve as a good example to the youngsters on the team." Initially scheduled to play for the second team of Coruxo, Falqué sees chances for Pereiro to move up to the main squad. "He is very well in form. With his skills, he can play in the right center field." Coruxo plays in Grupo I of the Segunda División B and can definitely need some help. They sit in 14th spot out of 20 teams, but are only one point ahead of the relegation places, which would send them one division lower next season. The season ends in mid-May. 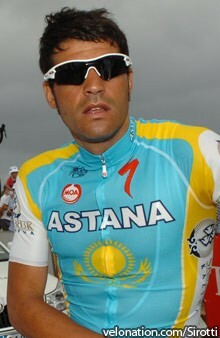 Pereiro won the 2006 Tour de France, after initial winner Floyd Landis was caught for doping and stripped off his title. Pereiro then had a horrific crash at the 2008 Tour de France. He did come back to the sport after a long struggle, but in September of 2010 called it quits from the peloton.